Metabolic Syndrome Reversal with Aerobic Activity! Do you have extra weight around the middle? Are you a woman with a waistline 25 inches (89 centimeters) or more? Are you a man with a waistline of 40 inches (102 centimeters) or more? You could have metabolic syndrome! Metabolic syndrome is the combination of high blood pressure, high blood sugar, high cholesterol and excess body fat around the mid section. Metabolic syndrome’s associated with an increased risk for heart disease, stroke and diabetes. Risk factors for metabolic syndrome are being overweight/obese and lack of physical activity. These risk factors are reversible risk factors. In other words – they are risk factors an individual can take control over. Changing and reducing their risk to prevent metabolic syndrome altogether. 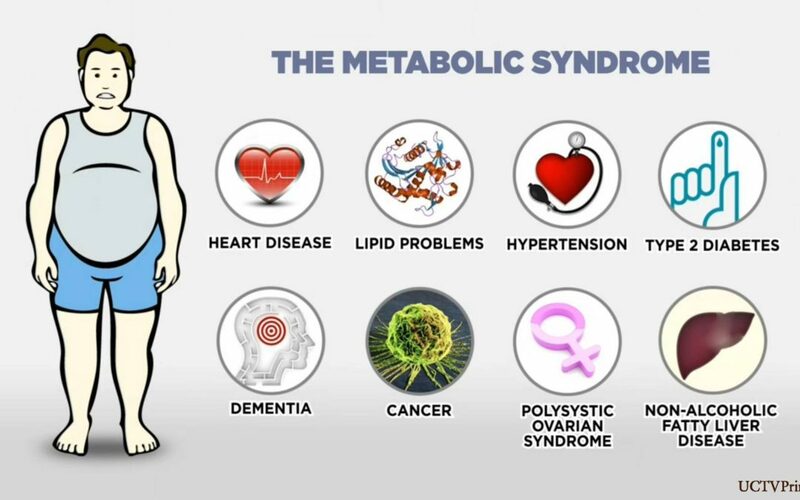 How can you combat Metabolic Syndrome? A recent systemic review and meta-analysis of randomized controlled trials reported aerobic training reduces blood pressure and waist circumference and increases HDL (good cholesterol) in metabolic syndrome. These changes may help reverse metabolic syndrome leading to reduced risk of stroke and heart disease. Anaerobic activity is high intensity using up oxygen at a fast rate. You can’t maintain it for long. Sprinting or intense strength training are examples. Aerobic activity, there’s enough oxygen to supply the body with energy. Allowing you to sustain the workout for at least a 20-minute period. Aerobic activities are endurance based. Jogging, swimming or other moderate intensity cardiovascular activities. How much aerobic activity should you get? Aim for 20 minutes of aerobic activity every day or 150 minutes a week. Check with your health care provider before starting on any new exercise regimen. Start shrinking your waistline, decreasing your risk and improving your life!